I've been using your rack builder a lot lately. Most recently, I used it to build my mini medal rack for my mess dress. I noticed it shows that the NCSA medal exists, however, Vanguard doesn't offer one for sale. Anyone got any clarity on this one? Half of the mini medals it shows on their don’t exist. If it ain’t on Vanguard, chances are it doesn’t exist. I suppose I should include a disclaimer that the appearance of a miniature medal on the rack builder does not guarantee its commercial availability. Across the years, some mini medals seems to have gone in and out of production (e.g. I know a few people in possession of medals that are not currently available from Vanguard). In theory, all of the medals "should" exist and the rack builder provides an example of their precedence and attachments. Note the actual medal suspension design shown for most of the medals is just a generic representation. Where are you building min-medals on there? Or are you just saying you can't take your normal rack and match it 1-for-1? 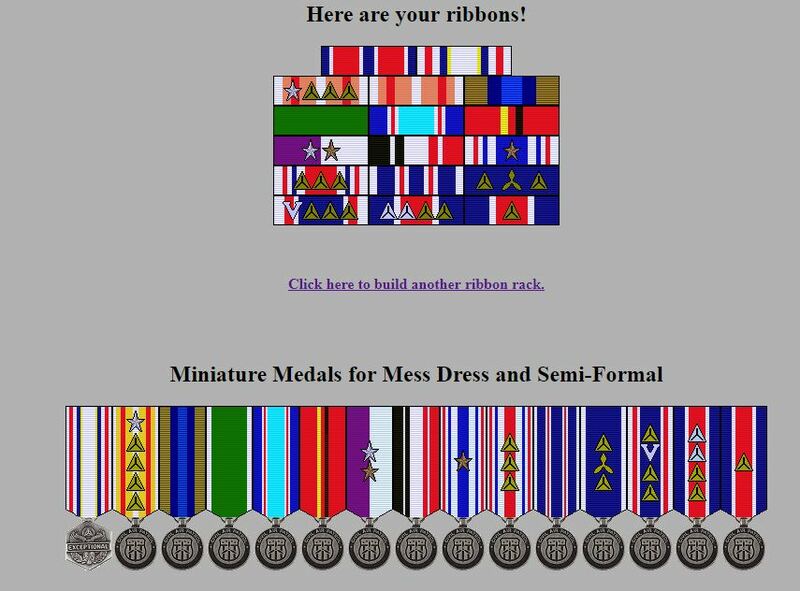 In addition to the regular ribbon rack, the rack builder also displays all of the corresponding mini-medals. I see it now - haven't been there since the upgrades. Still the best one. No worries and thanks, as always, for your brilliant product. I was just ordering mini-medals and when I didn't see the NCSA medal available via Vanguard, I thought maybe I missed something.